BarBooks takes care of your general practice and matter management and gives your more time to spend on work and family. Use it on any device, be it Mac, Windows or mobile. 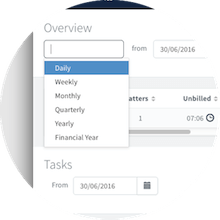 BarBooks has been designed to allow you to easily take care of your matters, time recording and bookkeeping. It leaves you to spend more of your time doing what you do best: concentrating on your legal practice. No crashes, no clunky interface. 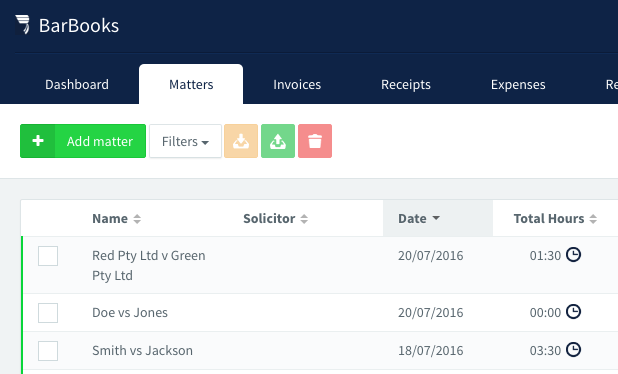 BarBooks is everything you should expect from the best legal practice management package: it is simple, intuitive and reliable. Start up where you left off. 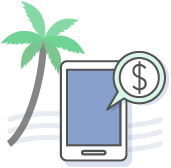 BarBooks offers a seamless transfer of data from SILQ and other providers, with no fuss. Simply provide us with the data file (for SILQ) or CSV export files (for other providers) and we will do the rest for you. Our cloud based software does not require complex setup or lengthy training. If you are stuck at any point, use our live chat to get your questions answered immediately. 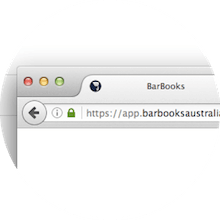 BarBooks is cloud based and can be accessed by multiple users from smartphones, tablets, PC or Mac. Do your time recording while in court or travelling to work. Free your time to spend it with your family. 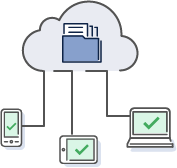 All your data is automatically backed up in the cloud and synced across all your devices as part of a single subscription. 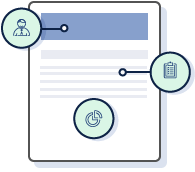 We provide outstanding customer support and make sure our practice management software integrates seamlessly in your legal practice. 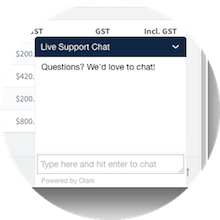 Get immediate help while using BarBooks webapp through the live support chat feature. 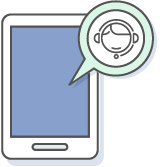 We offer remote and on-site support as part of your subscription. Based in Sydney, we regularly visit other states and can assist via remote access technology. 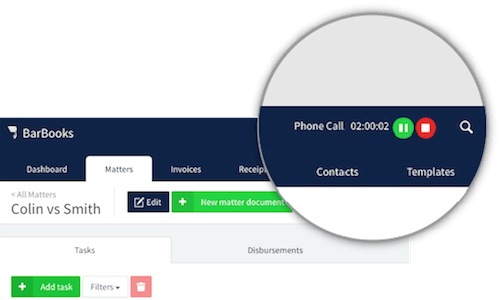 You can always refer to our documentation and video tutorials that cover tasks such as Tax Report or Invoice generation. No need to create your own backups or worry about another program crashes, even when you collaborate with your clerk or accountant. We make sure your data is always safe and secure. 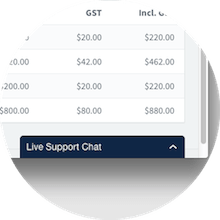 Give your clerk or accountant instant access for no additional cost. 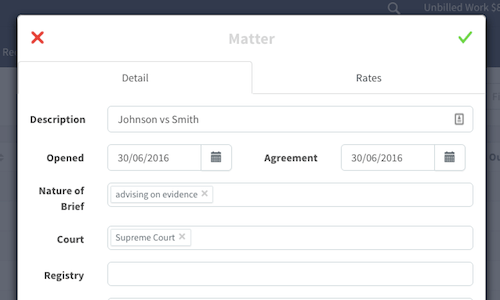 Multiple users can edit your data at any time online or offline, with no conflicts. BarBooks is made to suit any barrister’s practice. You can adjust our default templates or make your own. 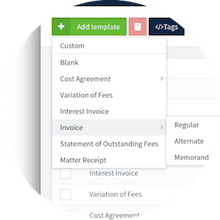 Generate invoices, costs agreements and receipts using the drag-and-drop interface. We can import and create any templates you already use into our system. BarBooks is a comprehensive matter management system. 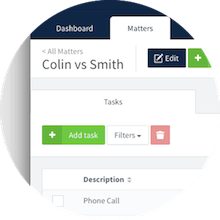 Easily create and edit clients, matters and associated tasks. 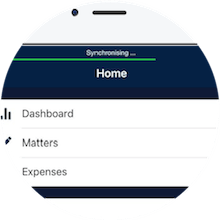 Simple expense tracking that makes it easy when it comes to tax time. 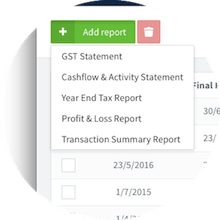 Create your quarterly BAS reports and Year End Tax reports in just one click. Use a timer for measuring task duration with custom increments, or manually add your own task duration. 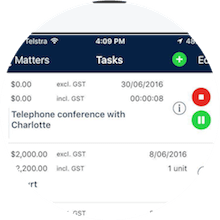 Our timer syncs across devices and can be used on mobile devices. 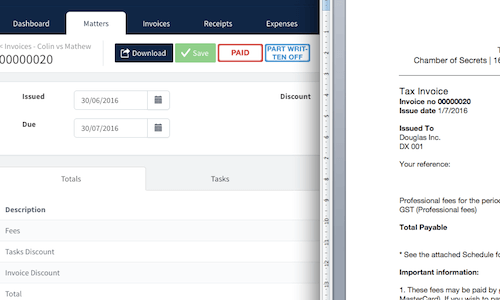 Create professional and personalised invoices, record receipts and tax returns in seconds with our customised templates. 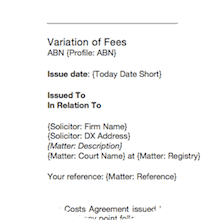 See how your legal practice is tracking and monitor your work in progress, payments and expenses over any time period. Save hours by building a direct link to your bank accounts, allowing you to match payments, record expenses and seamlessly keep track of transactions. 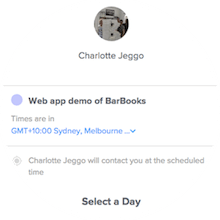 Let BarBooks do even more of the legwork for you with our new automated BAS completion and lodgement service, BarBooks BAS. 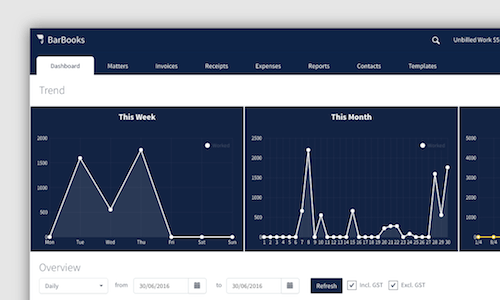 We know that data-entry, preparing and lodging your BAS isn't the most exciting or rewarding aspect of running your business, so why waste your billable hours or hard-earned cash on it any longer? Enjoy your free time while BarBooks is taking care of your general practice and matter management.